In 1993, Demetree Global invested in the Aloma Shopping Center located in Winter Park, FL between Lakemont Drive and State Road 436. This retail property features a strong mix of national and local tenants including Publix, First Watch, FedEx, Aloma Cinema Grill, Sprint, H&R Block and GNC. This 16,462 SF commercial property is ideally located in Altamonte Springs, FL. Managed by Demetree Real Estate Services, this property features retail space up front with additional warehouse space located in the back. Space is currently available; to inquire, please click below. Located in Winter Park, FL, this retail property is situated at the high-traffic intersection of SR 436 and Aloma Avenue. Semoran Shopping Center is only minutes from downtown Winter Park and Full Sail University. Tenants include Friendly Confines, La Granja, Habaneros Mexican Grill and Sumo Japanese Steakhouse. Space is currently available; to inquire, please click below. The Colony Garden building is an iconic focal point on Park Avenue in downtown Winter Park due to its prominent art deco architecture. This historic structure opened as a movie theater in 1938 and served as a popular entertainment destination for locals through 1975. In 1999, the old building was renovated to house the area's first Pottery Barn location and the original Colony sign was kept intact. Located in Lakeland, FL, this 116,000 SF service-oriented retail shopping center opened November 19, 1957 with 16 stores, one of which was a Publix which still remains a tenant to this day. Southgate Shopping Center has an exceptionally visible location on S. Florida Ave. The center was redeveloped in 2009 and is famous from the film Edward Scissorhands, starring Johnny Depp, Winona Ryder and Dianne Wiest. Demetree Global acquired this 43,500 SF retail center in Ellenton, FL in 2006. This property is conveniently located just two miles west of Interstate 75 and the Ellenton Premium Outlets. The tenant mix includes Papa John's, Parrish Elite, Chumlee's Wings and an unoccupied Winn-Dixie. Space is currently available; to inquire, please click below. Lakewood Shopping Center is a 52,700 SF shopping center anchored by Winn-Dixie in Seffner, FL. There are a total of nine retail units located in the shopping center. Current tenants include Jackson Hewitt, Boost Mobile, China Wok and Munchies Pizza. There is currently a 1.4 acre outparcel available; to inquire, please click below. In 2013, Demetree Global started investing in The COOP, a Winter Park neighborhood restaurant offering homestyle comfort food classics made daily from scratch. The COOP serves up hospitality at every table from passed-down recipes and seasonal ingredients. Created by the team behind 4 Rivers Smokehouse, every meal is a Southern Affair at The COOP. Walgreens currently leases this parcel on Edgewater Dr. in the trendy College Park neighborhood of Orlando, FL. Walgreens is a drugstore chain with health products, beauty aids, prescriptions & photo services, plus mini-mart basics. Demetree Global leases this parcel to TGI Fridays, which is located just off International Drive in Central Florida's thriving tourist corridor. TGI Fridays® offers a wide selection of appetizers, entrées, salads, pasta dishes and innovative entrées. TGI Fridays provides guests with a comfortable, relaxing environment in which they can enjoy quality food and drink. Demetree Global acquired this parcel located on Aloma Ave. in Winter Park, FL in 2008. The land is currently leased to Panera Bread. Panera Bread is a counter service bakery/cafe chain serving sandwiches, salads, baked goods & more. It’s known for its bread & free Wi-Fi. Demetree Global owns this parcel, which is located one block from the University of Central Florida. The land is currently leased to Wawa. Wawa, a franchise chain that can boast of its loyal base of fans, offers a large selection of fresh, Built-To-Order® foods and beverages, award-winning coffee, fuel services and surcharge-free ATMs. Demetree Global owns this parcel, located on University Boulevard, in proximity to the University of Central Florida's main campus in East Orlando. This land is currently leased to 4 Rivers Smokehouse, which opened their sixth location here in 2014. 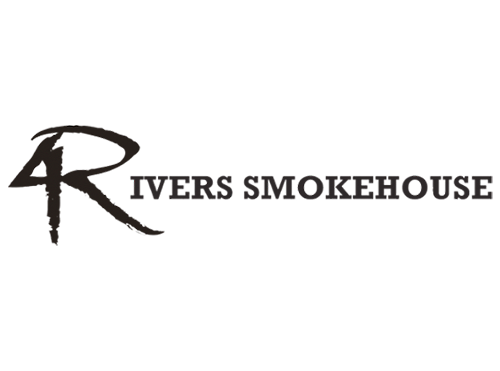 Excited to be a part of the community, 4 Rivers is bringing sophisticated, de-regionalized barbecue to the UCF area. Demetree Global owns this parcel located near the University of Central Florida's main campus on University Boulevard in East Orlando. This site is currently leased to Steak 'n Shake. An iconic eatery, Steak ‘n Shake is a fast-food restaurant chain known for steakburgers and milkshakes offering a diner-like space with retro flair. Demetree Global acquired this parcel in Winter Park, FL in 2003. This land was leased to Mellow Mushroom, which built its only Winter Park location here. Mellow Mushroom is proud to serve patrons delicious pizza, hoagies, calzones and salads. Demetree Global owns this parcel site, which is located near the University of Central Florida's main campus on University Boulevard. This 2,790 SF Burger King caters to college students and residents alike. BURGER KING® is the second-largest, fast food hamburger chain in the world, serving more than 11 million guests. Demetree Global started investing in WonderWorks in 2006 and currently is invested in five WonderWorks locations including Orlando, Florida and Tennessee. WonderWorks is a unique attraction that combines education and entertainment with more than 100 hands-on exhibits that challenge the mind and spark the imagination.